Here we are in week 2 of Mealtime Mondays, and I am sharing another meal inspired by Gina at Skinny Taste. 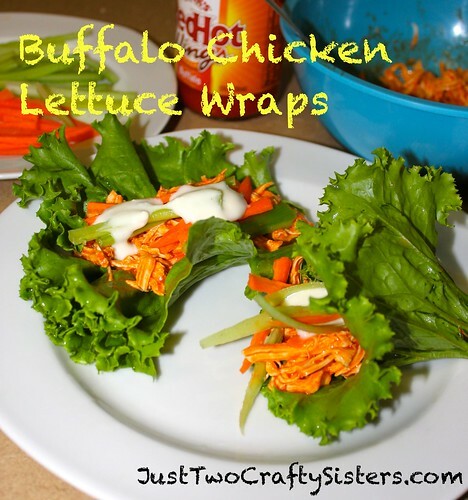 I love her recipes and could not wait to try her Crockpot Buffalo Chicken Lettuce Wraps. I hate that so many crockpot recipes are under 8 hours of cook time and can only be made on weekends since I tend to work 10 hour days + commute. To make it an easy work night meal, I adapted it to be stove top instead of crockpot. 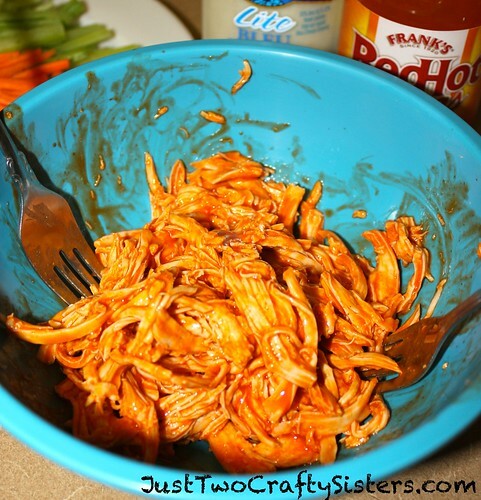 I LOVE Frank’s Red Hot and try to find ways to use it, like in the Buffalo Chicken Cheese dip I made last year for the Superbowl. 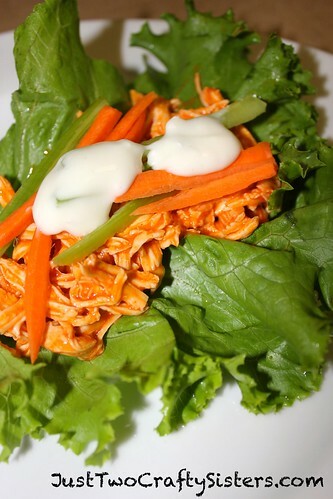 This recipe is delicious, healthy and easy for a quick week night meal. 1. Poach your chicken. I usually boil a few breasts each week to use in different recipes. 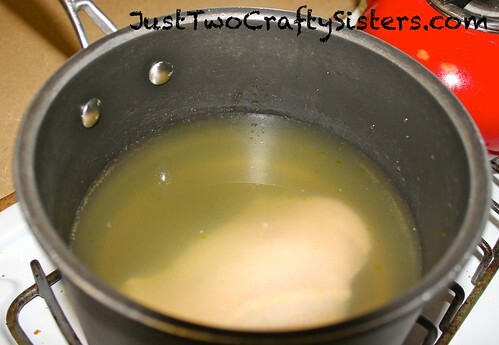 You can just boil in plain water, or a combination of water and chicken broth to give the chicken more flavor. Place your chicken in the pot with your liquid. Bring to a slow boil and cook for 20-25 minutes. 2. 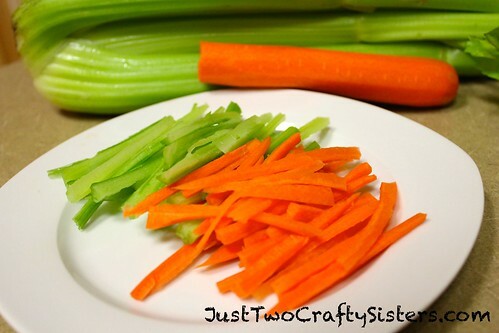 Meanwhile cut up your celery and carrots into thin strips. 3. Once the chicken is cooked through, remove it from the pot and allow it to cool enough to handle. 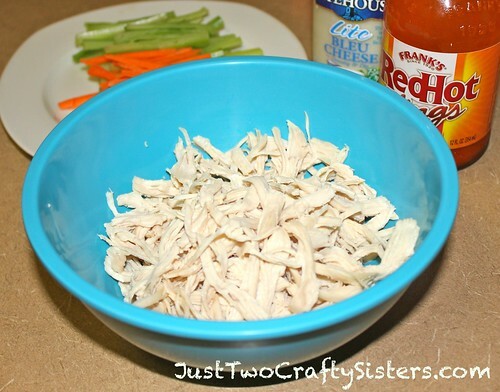 Shred the chicken into a bowl. 4. Pour some Frank’s into the chicken, mixing thoroughly. 5. 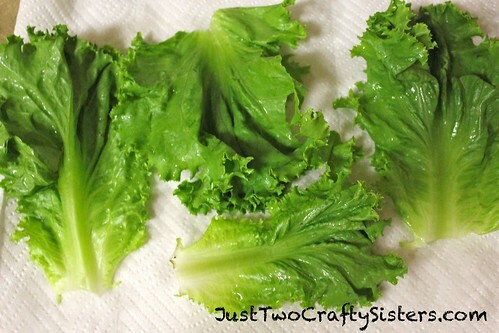 Wash a few lettuce leaves. You can use any type of lettuce, but I have found that romaine makes the best wraps. 6. Now assemble the wraps, starting with a heap of chicken. Top with carrots, celery and a dollop of blue cheese dressing. Enjoy! These can be a little messy to each, but they so yummy. A great, healthy edition to our week night rotation.